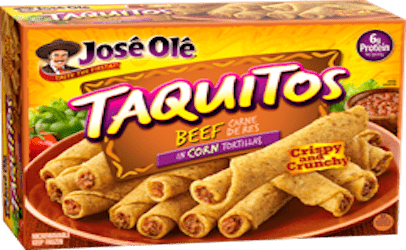 More than 35,000 pounds of frozen taquitos have been recalled due to the possibility of being contaminated with pieces of rubber with white plastic, according to the US Dept. of Agriculture. The affected products were shipped to retail locations in California, Florida, Illinois, Missouri, New York, Ohio, Pennsylvania, Texas, and Wyoming.